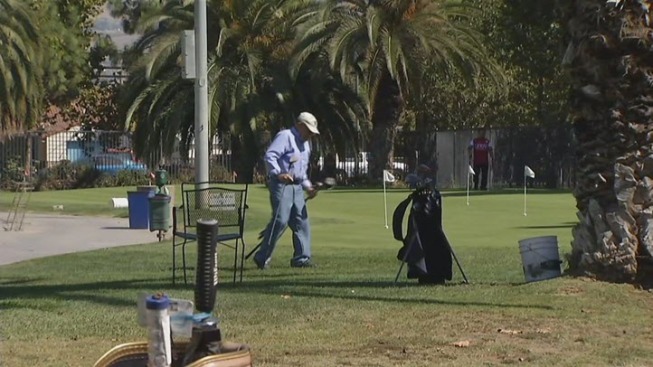 San Jose's parks commission is getting recommendations from city staff on what to do with two of its three golf courses. The San Jose Muni course is doing OK financially, but it's a much different story for Los Lagos and Rancho Del Pueblo. The city is spending $2.5 million each year just to keep the pair of golf courses open. A suggestions proposed to the parks commission is to close Los Lagos and Rancho Del Pueblo and sell the land. The city said foot traffic is down 43 percent at Rancho Del Pueblo in the last 12 years. "It's not making money and it needs to be able to pay for the deb service of the land," said Steve Hammack of the parks and recreation district. Hammack said a parks commission meeting on Wednesday will hear suggestions on what to do with the golf courses and being a community engagement process.